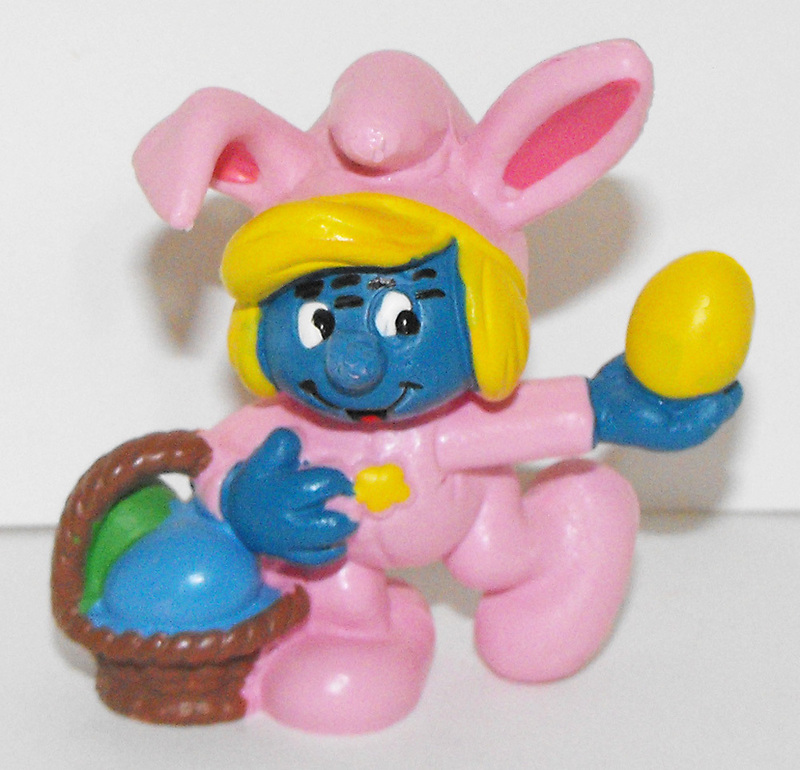 20497 Smurfette as Easter Bunny Vintage Plastic Figurine, about 2 inches tall. It is used and in Very Good Condition. Figurine comes loose without any packaging or tag.